If you’re ready to start taking your practice and improvement serious, let’s get to work! 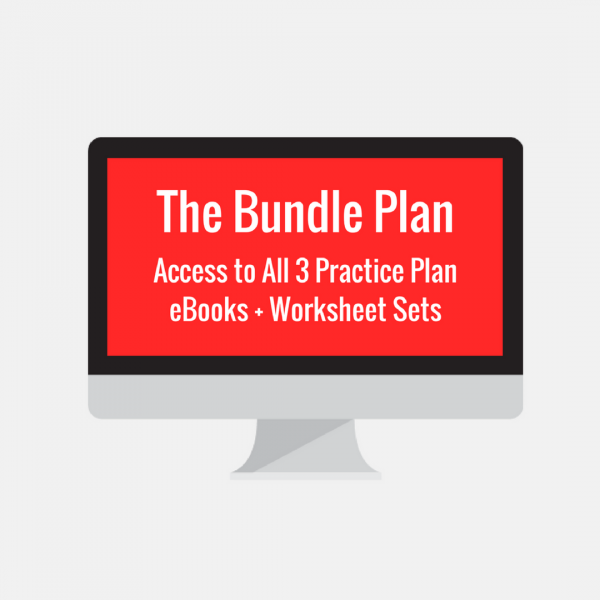 Complete these step by step practice plans and track your results via our custom worksheets. Take advantage of our sale and order all 3 practice plans ($49 individually) as a bundle package for only $99! And don’t forget to add our Short Game Practice Plan and our Indoor Practice Plan to the cart to get the full benefit of our different practice training resources that drop strokes off your golf score.